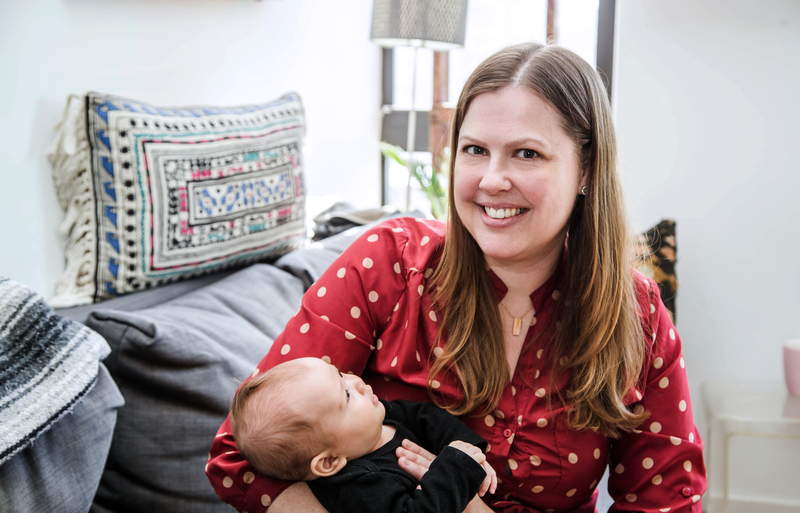 In this installment of our Practice Profiles series, we’re highlighting Annie Frisbie, an international board-certified lactation consultant (IBCLC) who uses Spruce to power her patient communications. 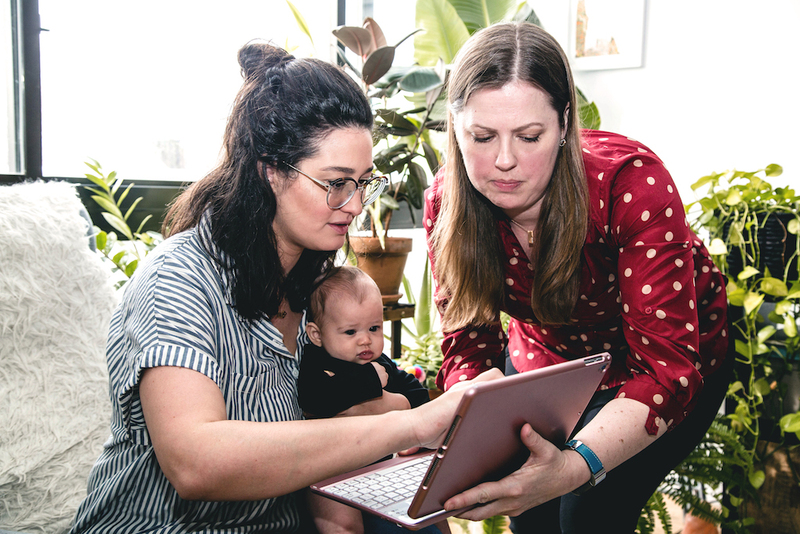 Lactation and breastfeeding support are critically important for many new mothers, and since much of this guidance occurs in the outpatient setting, every lactation consultant must be able to offer effective and private communication options. Annie has found Spruce to be a great fit for these essential needs, and we’re thrilled to be a part of such meaningful work. Read on to see how she puts it all together. About Annie Frisbie IBCLC, Inc. Spruce: Thanks for chatting with us, Annie. To get things started, can you tell us a bit about your current practice? Annie: Sure thing! 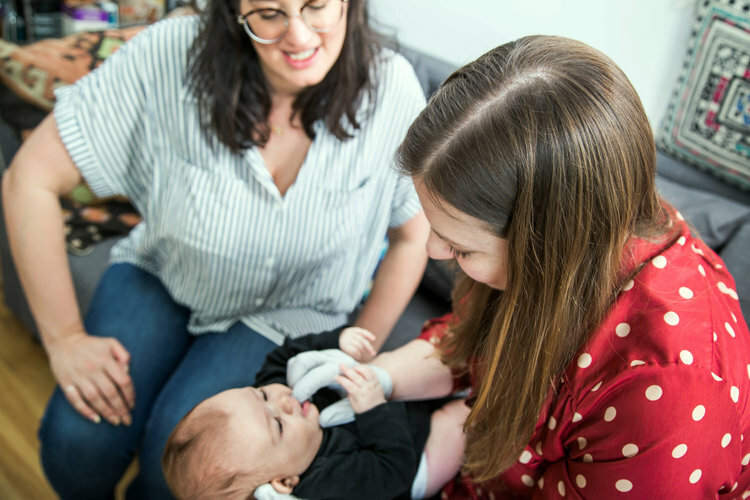 I’ve been a board-certified lactation consultant (IBCLC) since 2011, and I provide home visits for lactation support for breastfeeding/chestfeeding families in Queens and Brooklyn. I’m in private practice, and most of my clients are cash-pay, with a smaller number that are covered by their insurance plans. All of my consultations are one-on-one and in-depth (about two hours each), so I typically have schedule space for about 20 appointments per month. In-home follow-up visits are available, if desired, or clients can reach me by phone, text, email, or secure messaging. What I do is very hands-on, and I’ve found that in-person home visits are really important for success. My practice is totally paperless, though, and I do a lot that involves communicating with both current and prospective clients outside of visits, so having good technology that enables all of that is critical for me. Spruce: What brought you to Spruce? Annie: Patient privacy and legal compliance are both top priorities for me, and I was actually researching for my book on paperless IBCLC practice when I found out that most communications services are not HIPAA-compliant. That includes popular ones like Google Voice, which isn’t covered under the G Suite BAA, so I went looking for other options. I found Spruce, and it’s been great; I’ve been really happy. Spruce: That’s awesome to hear! What Spruce features have been the most useful for you in your practice? Annie: The two biggest things for me are the phone functionality and the secure messaging. I use Spruce as my business phone line, and it’s convenient because I can use it right from my regular cell phone but also get to my inbox from my tablet or computer. So I’m using Spruce whenever somebody texts or calls me, but I also make a big effort to get everybody to use the Spruce secure messaging because it’s better for privacy. When patients fill out my intake forms, there’s a note explaining the free secure messaging option, and they can check a box to use it or decline it. I’d say I have about 80% of people choosing secure messaging now, and I definitely make sure that everybody knows that it’s available, even if they’d rather use texting or email. Some people definitely prefer regular texting, though, so it’s important to support it. It was also really useful to have the autoresponder feature for a vacation I took a few months ago. The Spruce support team was very fast and responsive and helped me set things up so that people would get an automatic message back while I was away. If I ever find time for another vacation, I’m definitely using that again! Spruce: Have you thought about using telemedicine at all, like video visits? Annie: I’m not currently offering video visits, mostly because I don’t have any extra time in my schedule, but I do think that they would work well for follow-up appointments. I’ll probably stay just with in-person care for my initial appointments, because I really value the hands-on approach, but I’m thinking about telemedicine for certain things in the future. It’s great to know that I can support it directly through Spruce, if I decide to add it. I did recently hear that insurers are starting to cover virtual lactation visits, and if this proves to be true, I think many lactation consultants will be implementing telemedicine, particularly for follow-ups with established clients. Being able to bill for telemedicine lactation visits would be really exciting. Spruce: So do you think technology will be increasingly important in lactation consulting? Annie: Absolutely. First, many lactation practices are not up to snuff with technology and HIPAA, and I’m trying to spread the word about that. Our ethical standards also dictate that we need to support patient privacy and security, so technologies like secure messaging are definitely gaining importance in the field. In general, I think interest in technology is increasing among lactation consultants, and that’s a good thing. I’m trying to raise awareness and teach people about the big issues that technology can help with, and why it’s smart to invest in your tools and spend some money on them. Small private practices can’t afford to waste money, but making good choices in your technology is absolutely not a waste. Want to enhance your practice with modern, secure communications? Spruce powers efficient and delightful communication and care workflows for modern healthcare practices. Check out our features and plans to learn how you can get started right away with a solution that works for you. When communication technology changes, medicine changes. Don’t get left behind. The modern patient is developing needs that the typical healthcare organization isn’t meeting, and it’s time to fix that. Download our new ebook for free and learn about the emerging communication trends and patient expectations that are driving the future of healthcare.